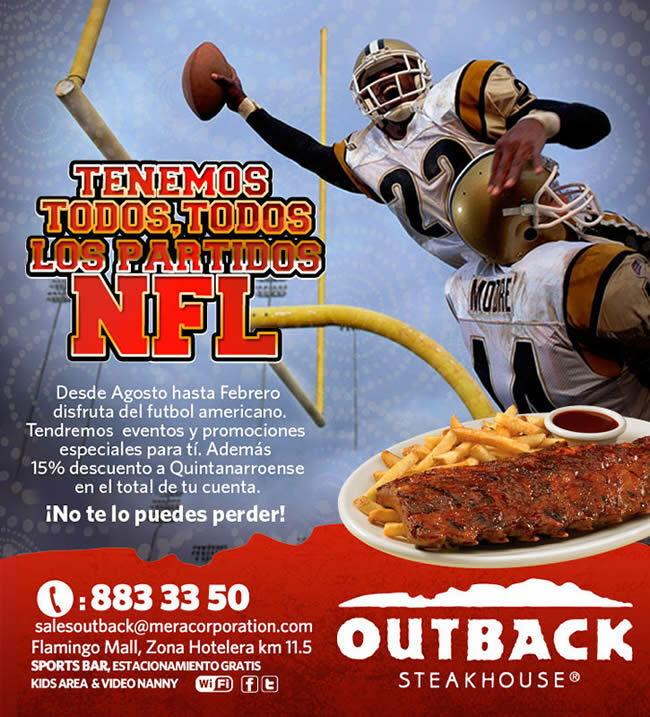 Cancun Hotels & Tours: Where to see NFL in Cancun Riviera Maya? Where to see NFL in Cancun Riviera Maya? Where you can see NFL matches in live action? Which is the best sports bar restaurant? will serve as the home of Super Bowl XLVI on Feb. 5, 2012. This will be the first Super Bowl held in Indianapolis.